Using arts and culture to work toward making Indianapolis a more vibrant and engaging community. Strengthening Indianapolis Through Arts and Cultural Innovation is designed to encourage community building and celebrate creativity. 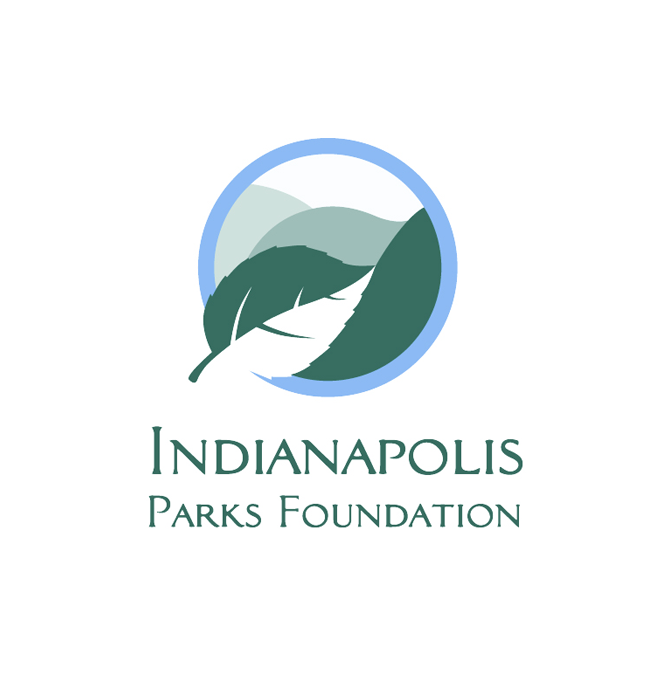 The initiative, through which the Endowment is providing grants totaling more than $48 million, seeks to make arts and culture a larger part of the lives of individuals and families; increase access to arts and cultural offerings among diverse audiences; enhance Indianapolis’ national and international reputation; and foster dialogue, community spirit and tourism. The following 17 projects, undertaken by 18 grantees, will be developed throughout the city in the hopes to energize our community and unleash its full creative potential. Third Space aims to bring museum-quality art installations to six Indianapolis public schools. The program is designed to disrupt the traditional school environment and learning experience. At each school, transformative artwork created by an established local artist will be temporarily installed. Through integrated curricula and workshops, students and teachers will be challenged to reflect on their individual perspectives as well as the differing views of their peers. The Cruft Street Commons redevelopment project aims to address challenges artists face finding affordable, long-term spaces in which to live, work and showcase their art. Big Car and its partners will create affordable facilities for housing, work and retail, repurpose a 40,000 square-foot factory for studio and cultural space, complete a public outdoor greenspace and foster social cohesion through community-engaged art strategies. The General Motors Stamping Plant international design competition aims to help transform a section of the former stamping plant site – recently rebranded as Waterside – into a programmable and vibrant urban arts and cultural centerpiece. Central Indiana Community Foundation (CICF) and its collaborator will focus on three elements: a creative reuse for the plant’s Albert Kahn-designed “Crane Bay,” a new, programmable outdoor plaza, and a pedestrian bridge that spans the White River and connects the site to other parts of downtown. The Shining a Light on Indianapolis project aims to activate the Soldiers & Sailors Monument by installing enhanced lighting and projection capabilities, a state-of-the-art sound system and flexible staging. These amenities will enable a variety of interactive event experiences that help Monument Circle be a vibrant gathering place and public amphitheater. Programming will include seasonally themed experiences, light shows synchronized with Indianapolis Symphony Orchestra performances and patriotic salutes that honor Indiana history. The Eagle Creek West Side Trail project aims to create a new, seven-mile series of pedestrian trails that activates 1,000 acres of currently inaccessible wooded parkland on Eagle Creek’s west side. The trail series will include Eagle Creek’s first two ADA trails. Other plans include a signature bridge traversing a major ravine and vista platforms, benches, trail markers and trailhead art commissioned by local artists. A new podcast series will allow visitors to learn about the history, geology and habitat of the park. The Convertible project aims to lower barriers to the arts by transforming the Harrison Center and its programs to more broadly accommodate community needs. Fun and welcoming elements include a rooftop outdoor kitchen with LED tetherball and a karaoke elevator that provides access for people with disabilities to all areas of the building. Harrison Center will also start an (Ad)venture Fund to provide small grants to artists and neighbors with ideas to lower barriers to the arts. The Dance Heritage Programming project aims to highlight the legacy of African American dance and storytelling through movement. Indiana Black Expo (IBE) will partner with Movin’ Legacy to bring nationally-recognized choreographers for four days of workshops that showcase six distinct forms of African American dance. Top students will be selected to perform a choreographed lesson and flash mob inside the Indiana Convention Center during IBE’s 2019 Summer Celebration. The No Limits Arts Series project aims to strengthen inclusiveness in the arts for individuals with disabilities. High school students from Indiana School for the Blind and Visually Impaired (ISBVI) will work alongside several Indianapolis-based arts organizations to increase their accessibility for individuals with disabilities. ISBVI will open its auditorium to the public to serve as a community gathering space for inclusive films, performances and cultural experiences. The Creative Placemaking Neighborhood Training Program aims to help 30 Indianapolis neighborhoods plan and implement a broad array of creative placemaking projects. The program will provide robust and intentional training, discussions and guidance on implementing locally relevant arts and cultural projects. Participating neighborhoods will receive technical assistance and seed funding to develop their ideas. The Taggart Memorial Mainstage Amphitheatre project aims to restore the Taggart Memorial – named for former Indianapolis mayor Thomas Taggart – and use it as a neoclassical backdrop for a multipurpose, outdoor amphitheater. Indianapolis Shakespeare Company will present free Shakespeare performances annually. Grounded in the visionary masterplan for Riverside Regional Park, the amphitheater will also feature Indy Park’s free summer concert and movie series and host diverse performances throughout the year. The Fringe on Wheels mobile theater project aims to provide access to a variety of arts and cultural offerings for people of all ages. IndyFringe will hold an open art competition to design the look of the Fringe on Wheels. The vehicle will be used for travelling theater classes, performance art, film screenings and live events in Marion County and across Indiana, including under-resourced neighborhoods and rural areas. The 10 East Art & Design District aims to implement arts-based economic development strategies to develop a one-mile corridor of East 10th Street. The project includes three interconnected components: 1) reclaiming vacant properties on 10th Street for creative reuse; 2) transforming underutilized public places into vibrant spaces; and 3) increasing neighborhood arts programming. Indy Art & Seek public art initiative aims to feature more than 100 installations of engaging and accessible public art in urban streets and greenspaces throughout Indianapolis. This project will be a mini-adventure with six large-scale installations and 100 smaller “interventions” designed to change perceptions of spaces and add joy to residents’ lives. An interactive map and mobile application will guide people through the experience, which will prioritize locations that are currently without a nearby public art installation. The Fort Harrison Cultural Campus aims to create a vibrant arts district at historic Fort Benjamin Harrison. The project will include improvements to the existing theater, a visual arts building with a gallery and space for art classes, a cultural plaza with an amphitheater, and public art installations. This public-private partnership will celebrate the history of Fort Harrison and use arts as a platform to beautify the city streetscape, boost the local economy and provide a sense of place for Lawrence’s diverse residents and visitors. The RosieCon Book List Festival is a one-day celebration of young adult literature that aims to bring together authors from the Eliot Rosewater Indiana High School Book List for school and public library visits and a book festival at Ben Davis High School. The book festival will feature panel discussions, author signings and interactive programming themed around books from the Rosewater list. New festival infrastructure and programming aims to expand Newfields’ capacity to host large, public festivals that appeal to broad audiences. The project will begin with the 2019 festival Harvest, which will explore the bounty of autumn through outdoor art installations, large-scale performances and multi-sensory experiences. The infrastructure also will be used to host winter, spring and summer festivals. Arts as Empowerment aims to transform an unused church on the Far Eastside into a dynamic community arts and cultural center. In addition, nearly 1,500 students at Phalen Leadership Academies will receive robust and immersive arts and cultural learning experiences, such as the opportunity to create original plays and compose film scores.